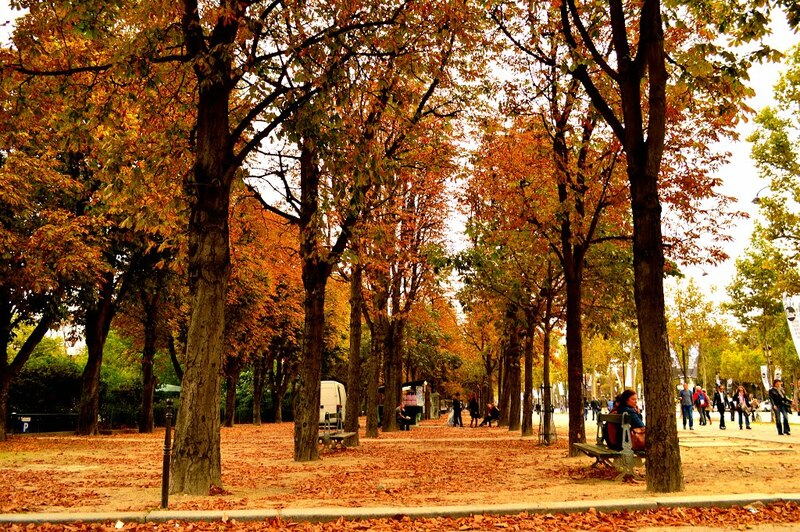 It’s the start of October in Paris. The morning air has a cool touch, with a small soft frost cloud from your breath. The sun has becomes a guest, of which never stays too long, or is predicable. The grey rain now comes in regular, unwelcomed visits. As a child, I never enjoyed this season, for it meant the end of my summer days. My hours spent with my grandfather , picking tomatoes. Looking for perfect ones to give to neighbors, and the ones that had marks went to grandmother, for her to cook with, to make her wonderful tomato sauce. Years later, lounging in the summer sun. Auntie’s big in- ground pool with its blue tiles shinning on the pool walls. She loved to sit in her float with a drink. She said it was Sweet Tea, but I think there was a touch of rum in it. I liked hanging on to the kickboard, and slowly going from one side to the other. Watching the birds fly over head, watching big puffy white clouds slowly take shapes with my imagination. Once Fall started, all of these activities started to fade away, and by October. 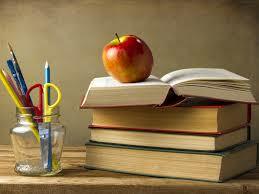 School homework, became the normal requirement and time consumer of any free time I had. Now, as a “mature” woman, I am able to finally enjoy the season. The wonderful colors that come with it. How it slowly puts the garden and summer activities to sleep for the winter. It draws your thoughts inward..
Fall also, reminds you, of the drafty front door, that needs to be fixed, did the weather stripping hold up for another year? The list seems never to end. Also as the year comes to a close, I am slowly coming to accept the loss of my Bonnie, who was with me for 12 year . It’s still too painful to write about, even now, 6 months later, the pain is sharp, and seems not to dull. Maybe later, I will be able to write about it, but not today …. 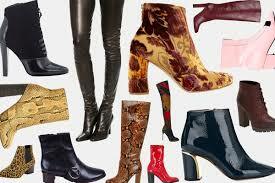 As for fashion in Paris, this season, brings the final season “B”, into your closet. The 3rd B, is for Boots. 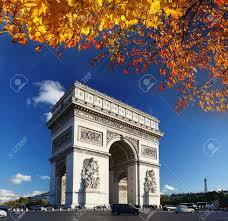 Autumn in Paris seems to me, full of very grey and cloudy days. The air gives you heavy dews in the mornings, which can turn into rain later. It has rained in paris , once every week minimum. Today is Oct. 6, and the landlord has started the heat, which was needed for the past 5 days. With this season, slowly all your pretty summer ballet flats need to be stored. I like to clean my shoes, and wash the bottom of the shoes before I store them. This is the first “B”, for Ballet Shoes. The 2nd “B”, is new for some, but old school for Americans. Sneakers are called “baskets”, in France. I think its due to the introduction of them, with the American game ‘Basketball’. Most French people have a pair of them, Americans have several pairs of sneakers. With the wet weather here, a canvas pair of Converse will not protect your feet, nor keep them warm. For me, these are to be worn from May- September, due to the weather here. 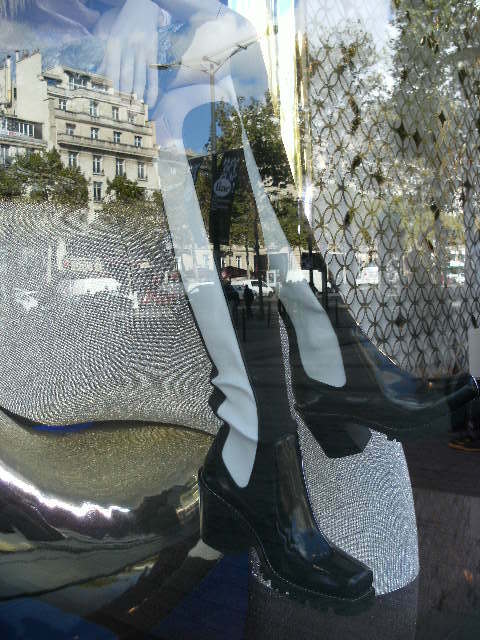 I walked down Champs-Elysees today, carefully watching the various shoes that many women wore. This is a clear indication of the woman and her nationality, if some one does not know this art of (people watching).. let me give you an example. I saw a lady, who was wearing Capri pants, Birkenstock sandals, and a big polar jacket, buttoned all the way up to her neck. What does that say to you? To me, she is a tourist, who did not educated herself about the weather, and must be from a warmer climate, since she feels Capri pants are ok in October. As for her footwear, she was clueless. To wear a shoe, which exposures so much of your tender bones, to thousands of big heavy shoes, and the various glass or sharp objects on the sidewalks ..and then you wear an open shoe, and not color your toe nails? Where did she think she was? At a neighbor’s barbeque party? too causal – which tells me, she was American ..sad to say. There are pretty days in the Fall in Paris, you just have to tolerate the other days.. when there is no sunshine .. which is a perfect time to switch your summer ballets for your boots ! 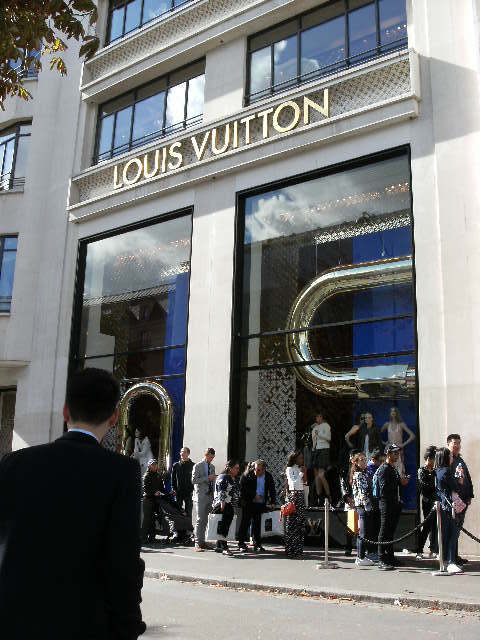 Also, I went to visit the Louis V store, and as you can see, there is now a line to enter the store. I took a picture of their boot for the season, very sporty to me! Working on finding a balance in this new life of mine, its not easy, but I am going to try today.